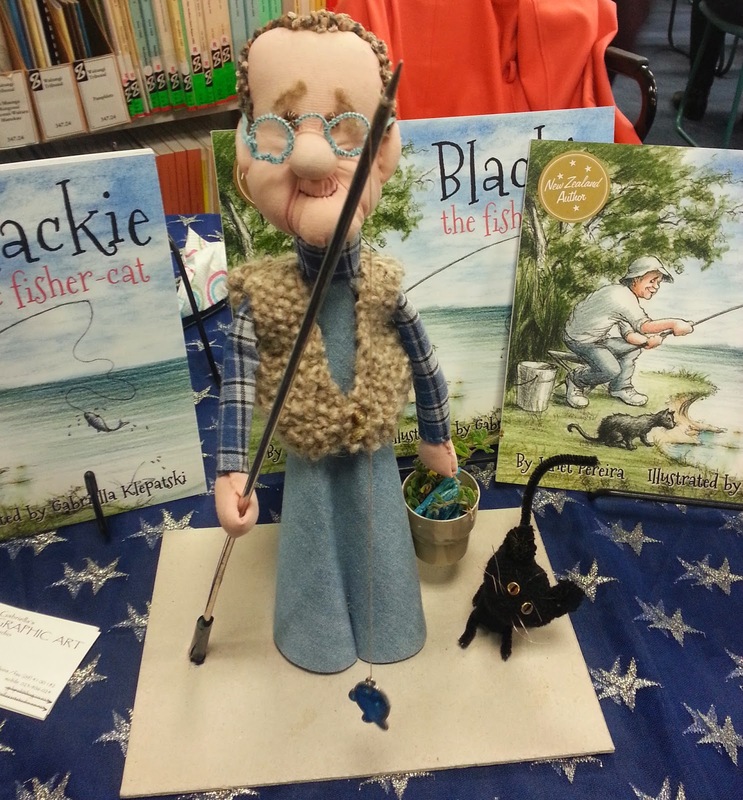 Beattie's Book Blog - unofficial homepage of the New Zealand book community: Two launches for Blackie the fisher cat and a special ‘guest’ at the Auckland one! Two launches for Blackie the fisher cat and a special ‘guest’ at the Auckland one! The gorgeous new children’s book from the pens of Janet Pereira (writer) and Gabriella Klepatski, (illustrator) had the pleasure of two launches. The only option when the two creators are at opposite ends of the country. 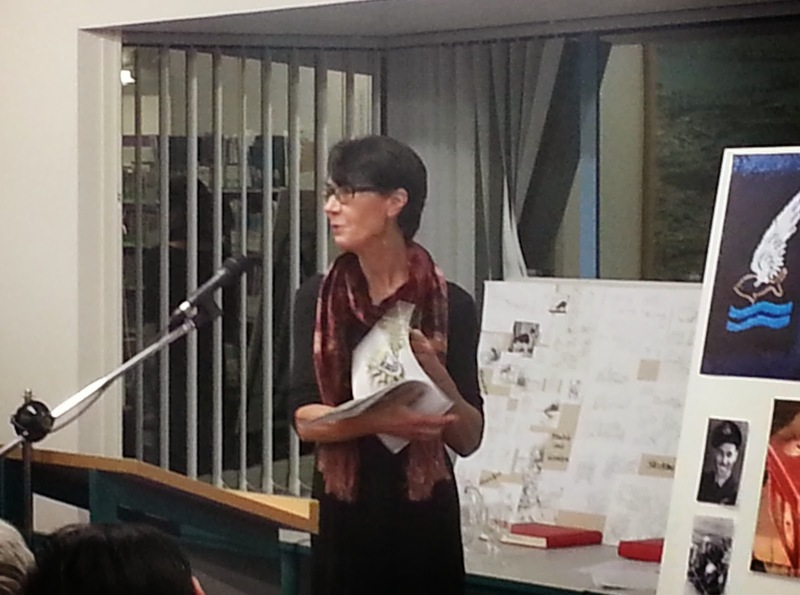 However in Auckland last night another person instrumental in the book also made an appearance – well sort of! 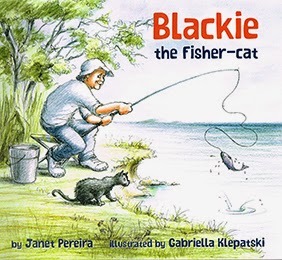 This gorgeous story of a Grandpop who loves fishing and befriends a cat, who also loves fishing, is actually based on a true story that Janet heard many years ago. Bill, a taxi driver from Christchurch and a family member by marriage actually had a cat befriend him at his favourite campground and it did know were the good fishing spots were.